Everywhere there is surf, there are surfers on Oahu. 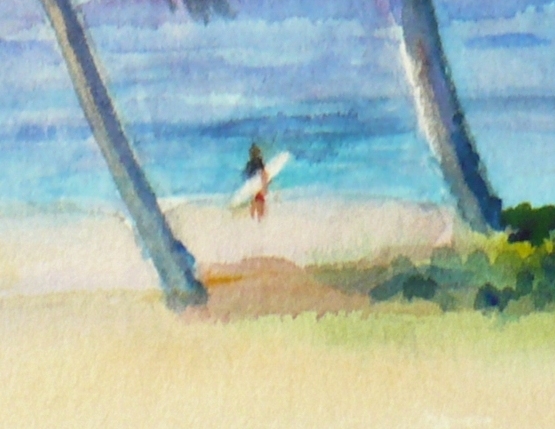 In this painting which is #5 in my Tropicals Collection, a surfer stands by the sea ready to go out and catch some waves. I painted this watercolor outdoors on site (en plein air). Mahalo! Thanks for stopping by today. 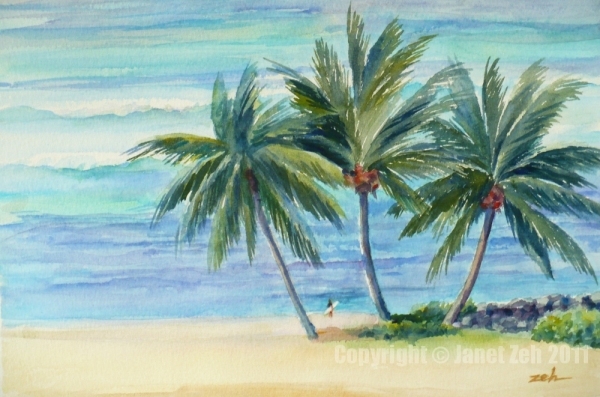 More Zeh Original Art Hawaii paintings.